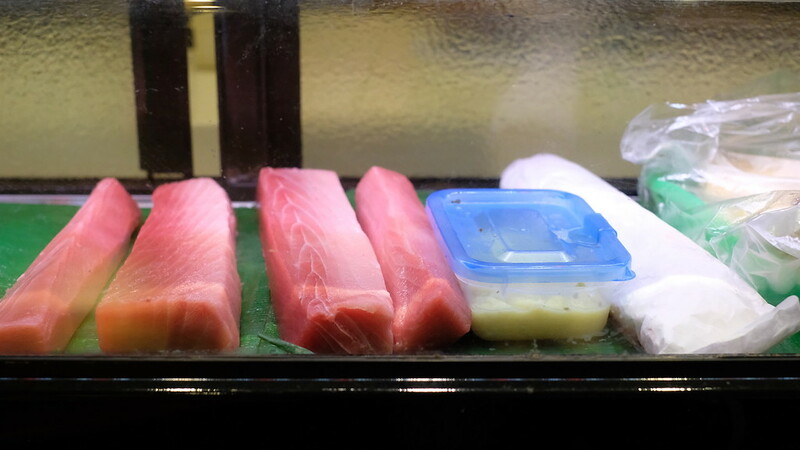 If you’re looking for decent, affordable sushi, Endo Sushi Kyobashi is the place for you. It’s a great pitstop if you’re travelling between Osaka and Kyoto via Kyobashi Station! Endo Sushi is one of Osaka's better-known sushi shops among visitors to the city. Even back in 2013, there'd be a bit of a wait at their main shop near the Osaka Central Wholesale Fish Market if you arrived too late in the morning, and now there seems to be a queue at all times. Call it the changing face of the city. Or just the power of social media. 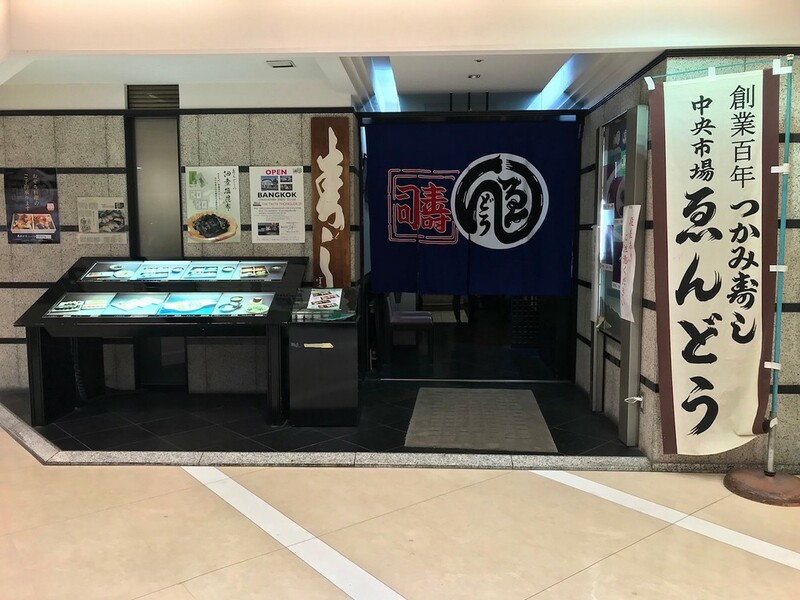 Thankfully for folks like myself, who are emphatically not morning people, Endo Sushi has another (quieter) outlet in Kyobashi open from 11am all the way until dinner - a shop right in the mall adjacent to the station. It is a pretty handy place to have on your radar if you are en route to or are returning from Kyoto on the Keihan Line. The restaurant looks like it came straight out of the mid-80s or at a similar time. It was probably the kind of place that looked like it should have been carpeted in grass green and faded over the years to an olive-grey fuzz. That's what some parts of Keihan Mall - and Osaka, really - feel like too. I had the sense that they probably took over the previous tenant's premises and changed very little - just dove straight into the business of shaping sushi. Ordering here is fairly self-explanatory, especially if you stick to the English language menu. Each plate comes with five pieces. You can have a variety, or you can have five of the same. I wouldn't look for any vegetables on the menu. The fish is always fresh, blanketing fingers of rice like warm, thick winter duvets. Endo Sushi isn't aiming to be a high-end place. 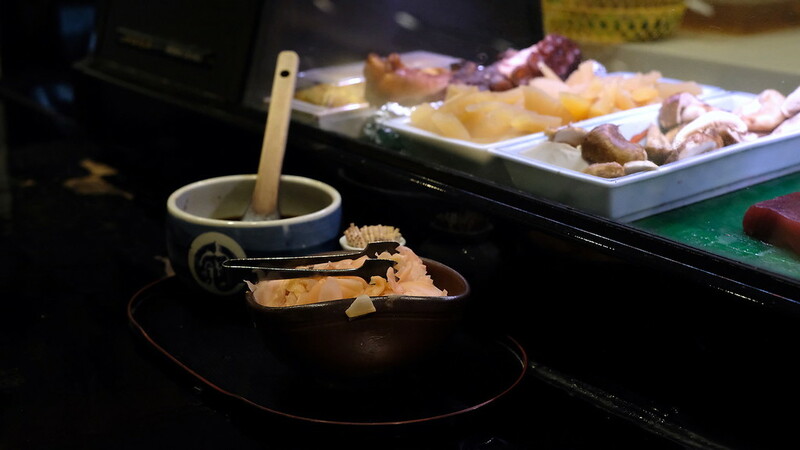 There's nothing too complicated, nothing too outré here - no aged fish, no order in which you must eat the sushi. At this price point you don't need to be asking for perfection. Case in point - the lightly-vinegared rice perhaps clumps together a bit too much at times. 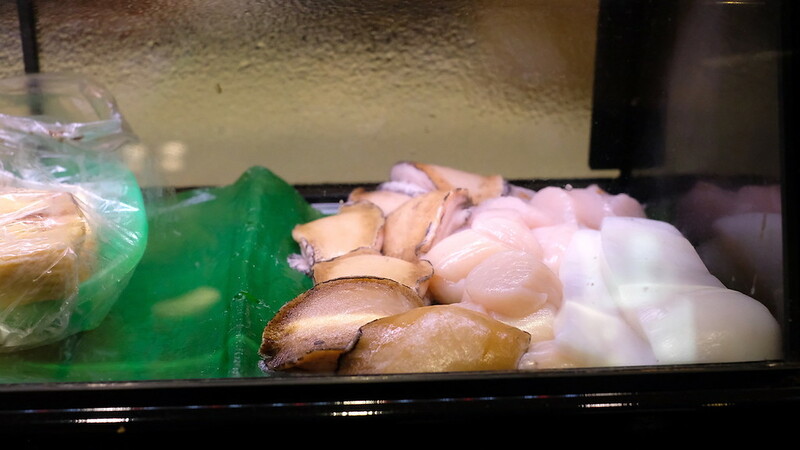 The fish is generally fresh and of a very decent quality, if not the best you'll ever have. 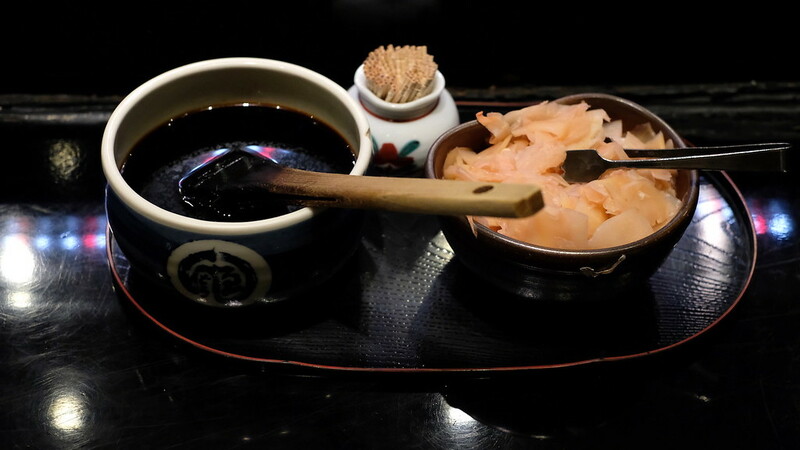 Just like at Daiko Sushi, you brush soy sauce onto each piece, rather than dipping into a plate. I love painting it on, letting soy sauce drip onto each piece. I'm a little surprised that more places don't offer this option to diners. The downside of the English menu is that they don't list prices, but know that it'll be about JPY1000-JPY1600 a plate, depending on what you order. I like their combination platters - these give you a mix of neta to try. 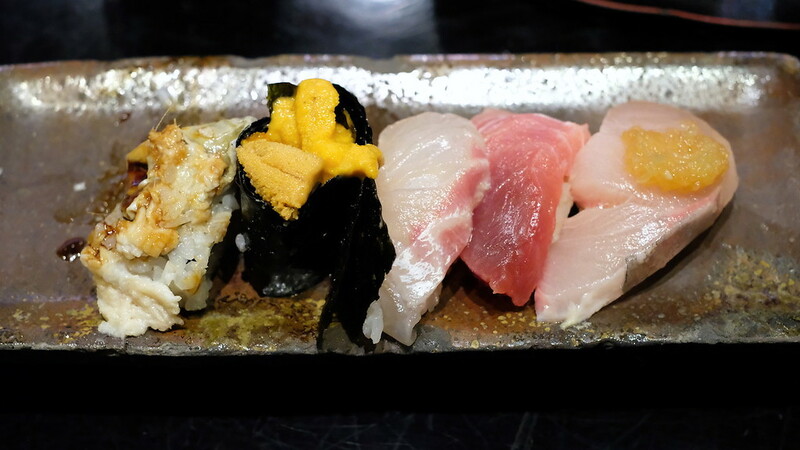 My favourite was the ‘first plate’ with seawater eel, sea urchin, bream, fatty tuna, and yellow tail. The sea urchin is surprisingly good for this price point, while the yellowtail with grated daikon (a mild rarity) was surprisingly delicious. 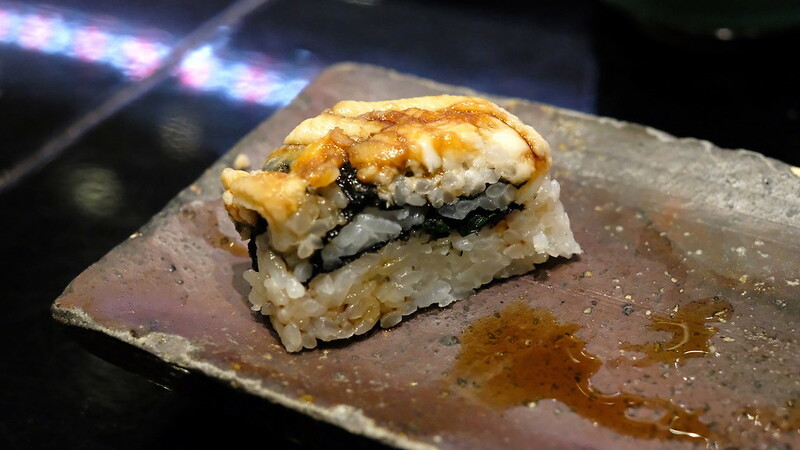 The anago (seawater eel) is worth ordering. I like it better than its freshwater cousin, generally speaking - meaty, lightly sweet, with a more delicate and tender texture. At Endo they layer it through with laver, and it is good enough for seconds. 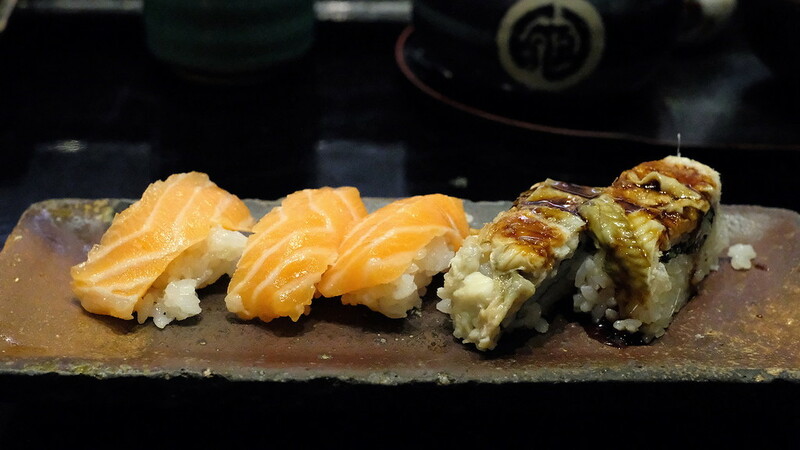 I suggest ordering a combination platter of salmon and anago. Salmon is a little bit of a populist fish, one that many high-end shops consider a little “low class.” Frankly, I could care less about these distinctions. A fatty salmon nigiri is the most #basic order ever, and I love it. I like Endo Sushi. It's conveniently located and it’s a crowd-pleaser. 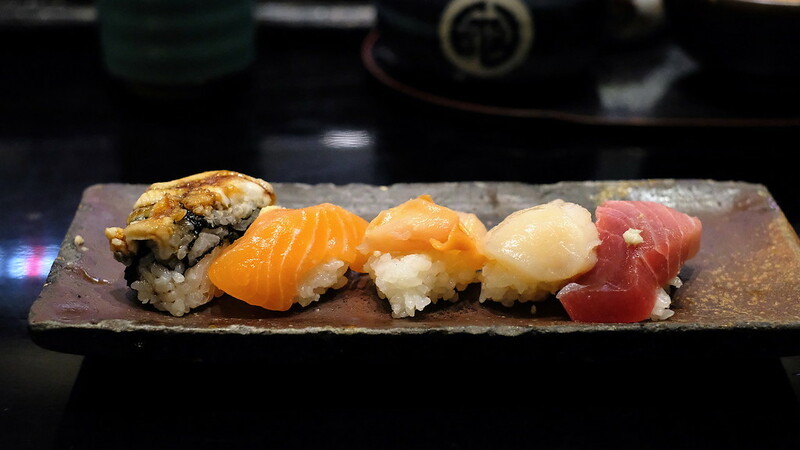 I wouldn't suggest a special trip to Kyobashi just for this, but if you're heading over to Kyoto or returning to Osaka via that station, Endo Sushi is an eminently respectable pitstop. Directions: Take the Central Exit of Kyobashi Station on the Keihan Line. You’ll see the entrance to the Keihan Mall just ahead of you. Make your way up to the 5th floor of the Keihan Mall, either on the elevator or the escalators. Endo Sushi is next to a tonkatsu restaurant. 3-minute walk from Kyobashi Station on the JR Osaka Loop Line or Keihan Line.